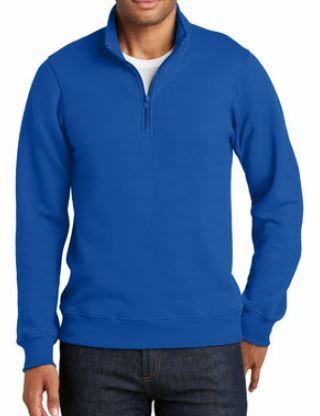 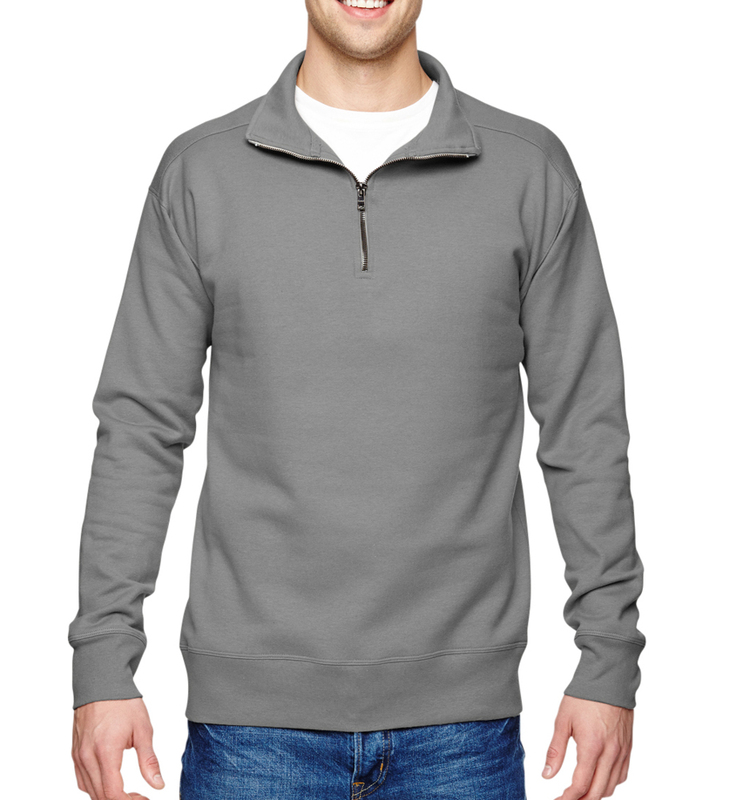 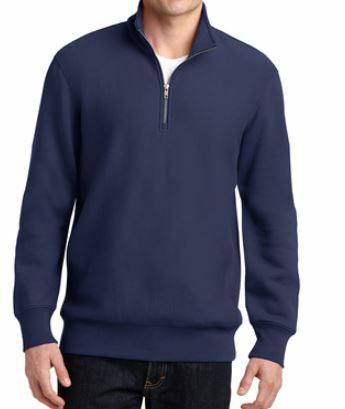 Why Choose a Partial ¼ Zip Sweatshirt? 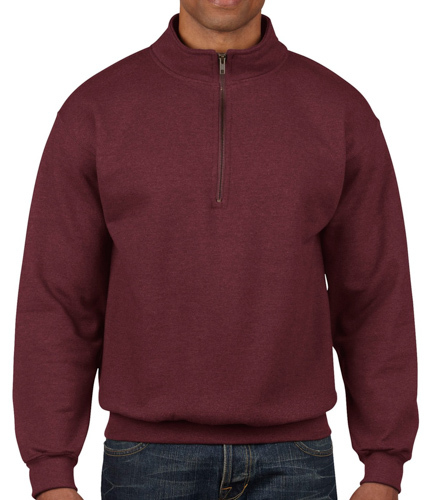 Partial zip pullover sweatshirts look a little dressier than standard crewnecks and are easier to get on and off. 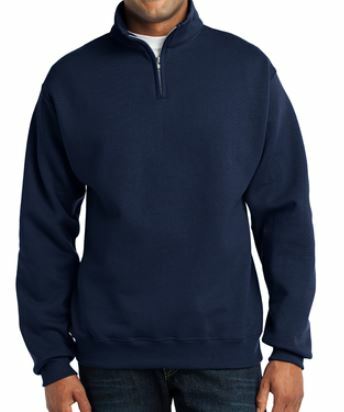 Zip one of these ¼ sweatshirts all the way up to keep your neck warm or lower the zipper for a little extra breathing room. 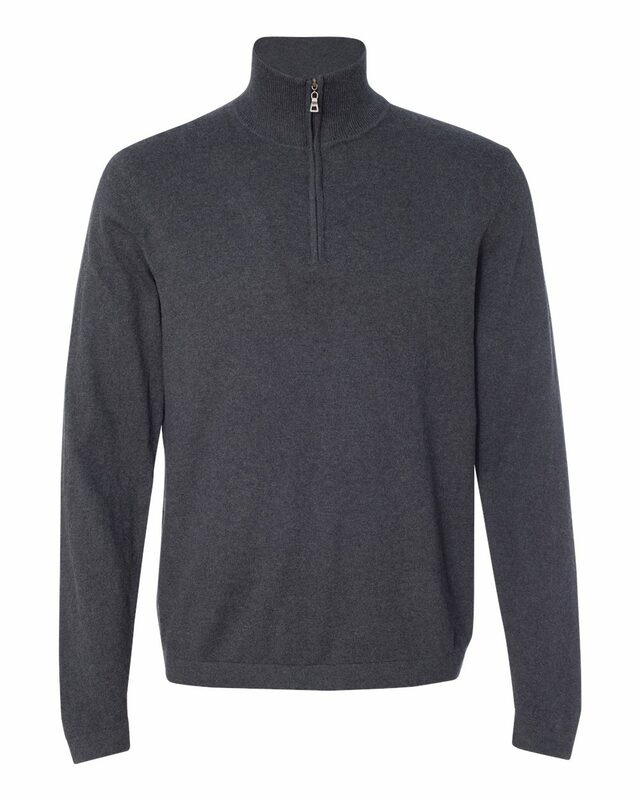 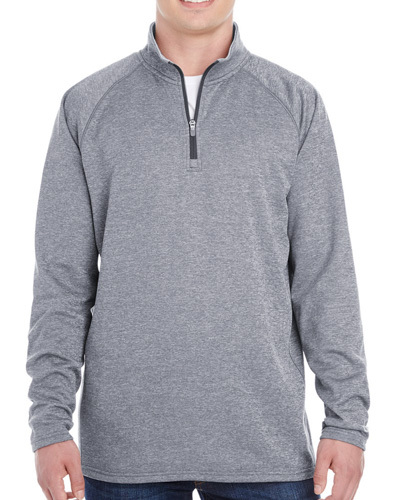 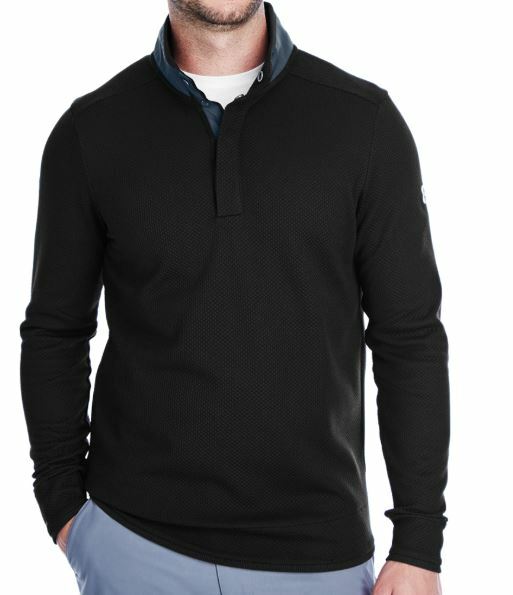 Partial zip sweatshirts are a great option for a warm-up top. 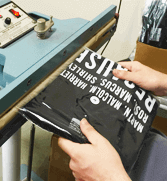 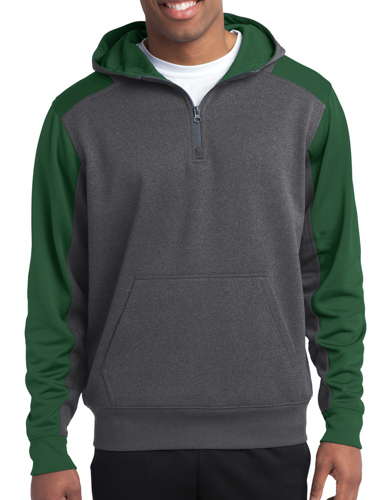 You can easily slip on your partial zip sweatshirt over a jersey or a T-shirt. 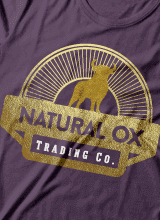 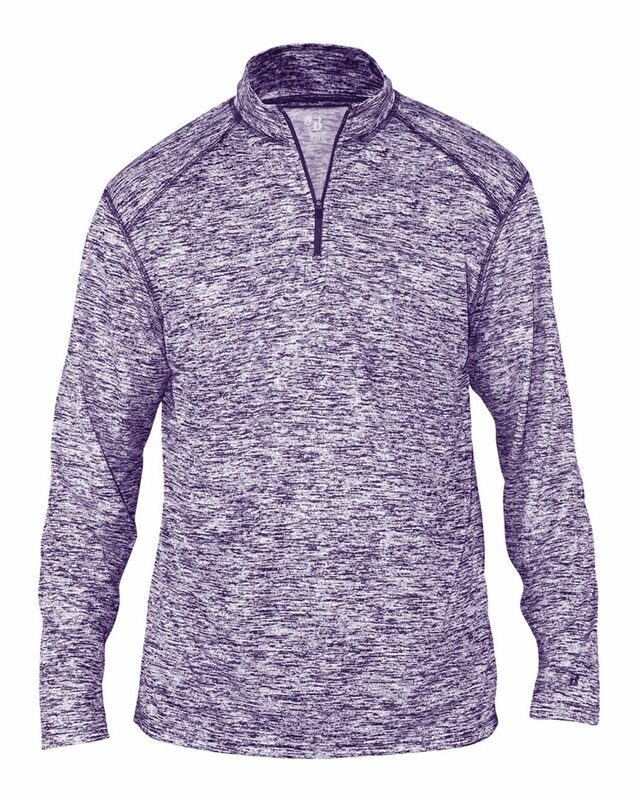 Sweatshirt Material - Typically consisisting of a poly/cotton blend, these items are going to be consistent with the look and feel of a standard sweatshirt material. 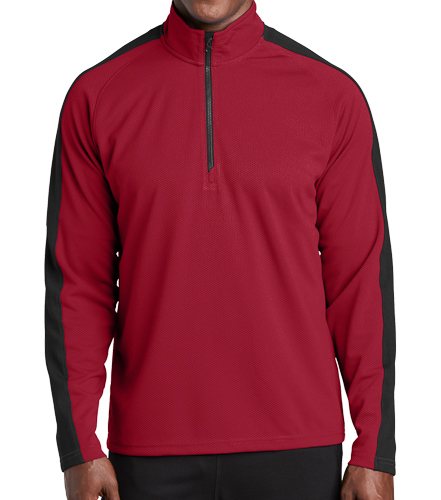 Choose from a 7 or 8oz for a midweight half zip or a 12oz for something hefty. 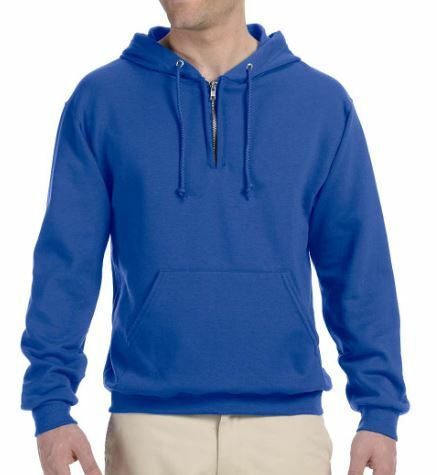 Athletic Style - Made of 100% polyester fabrics, these have a more athletic/athleisure look to them. 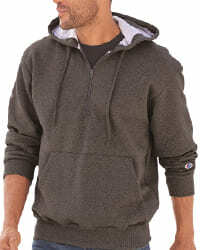 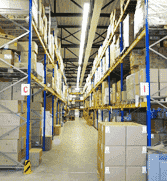 They will be best for heavy movement and a lightweight design. 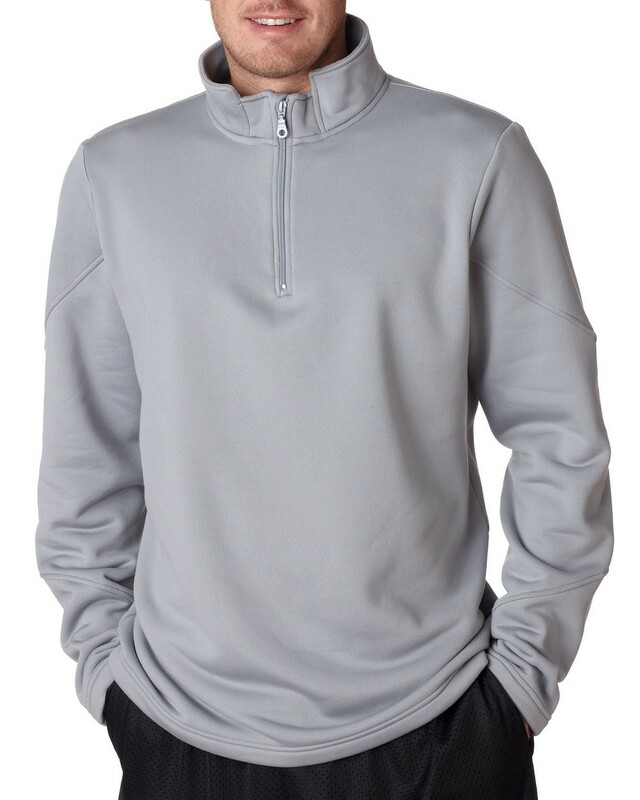 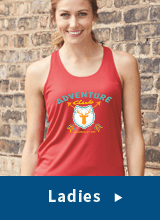 Great for running outside or just everyday comfortable wear. 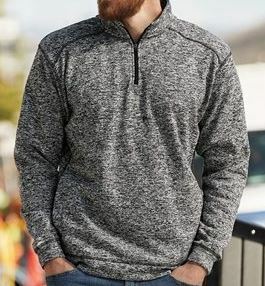 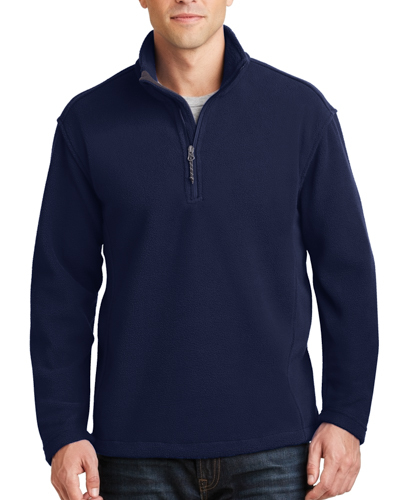 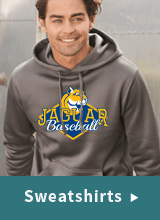 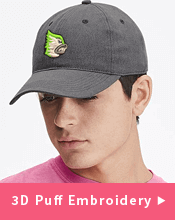 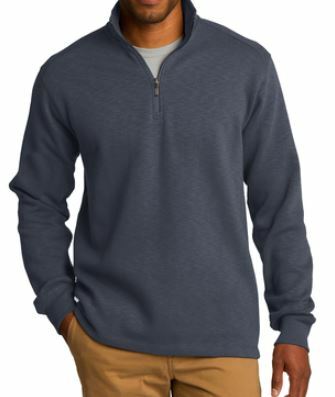 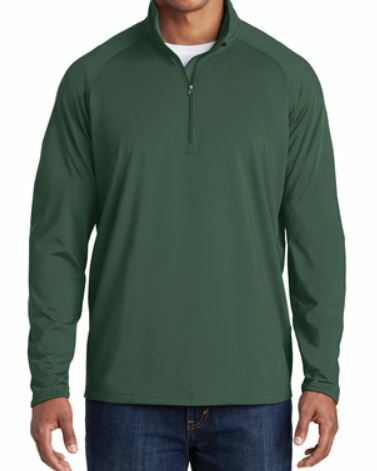 Fleece Face - Although sweatshirt material is called a fleece, our fleece options will give you that traditional warm winter fleece or micro fleece half zip. 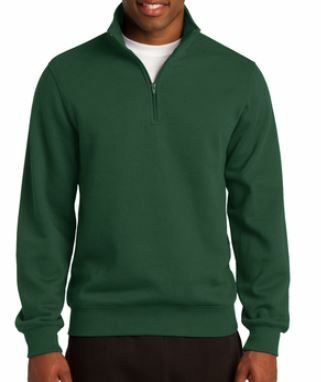 These are a traditionally worn style in the winter or colder months. 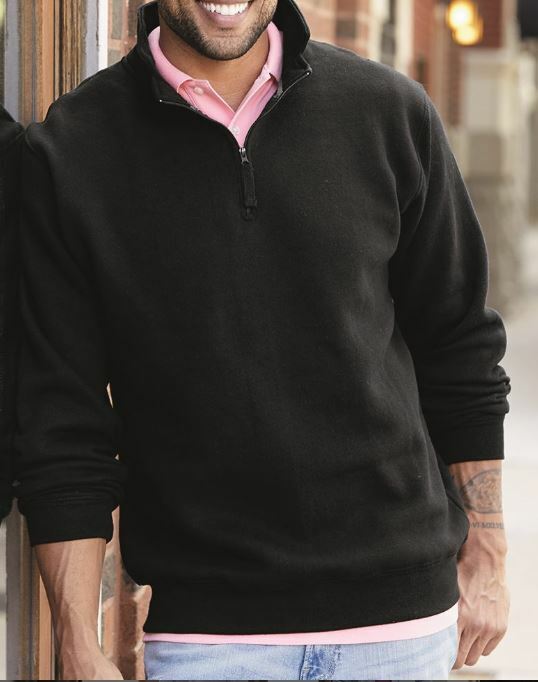 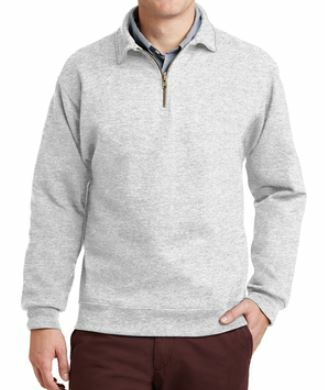 Corporate Style - Made to be less casual, more dressy, these styles can include 1/4 zip sweater fabrics as well as higher end blends and polyesters. 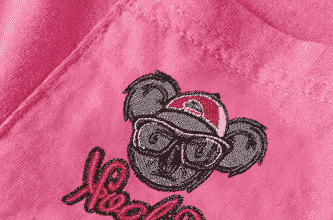 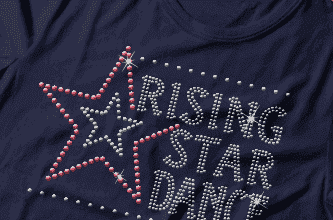 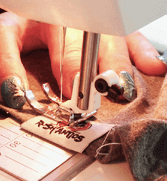 For an even classier look, embroider your design instead of screen print. 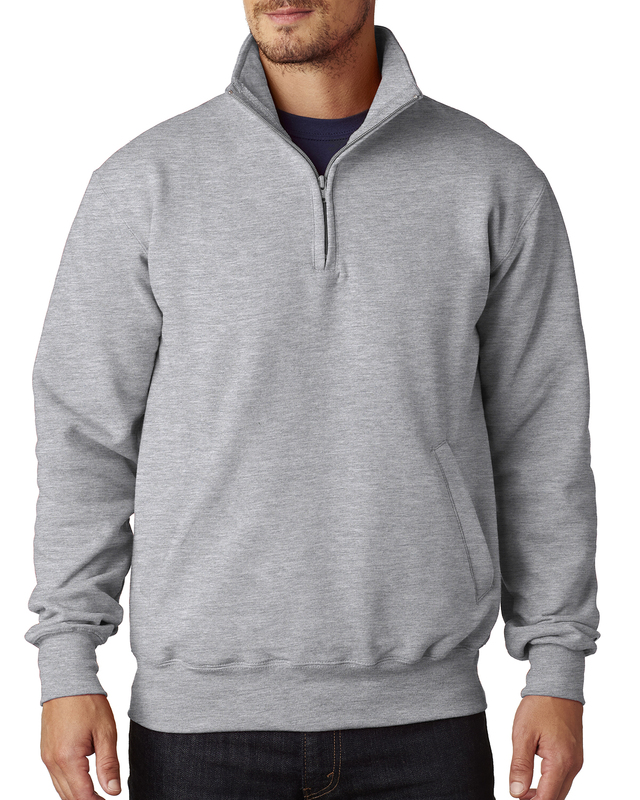 Position your custom screen-printed design next to the sweatshirt’s zipper or below it. 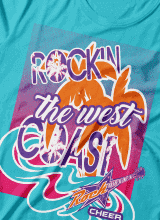 We can also help you modify your screen-printed design so that it prints on both sides of the zipper and looks fabulous. 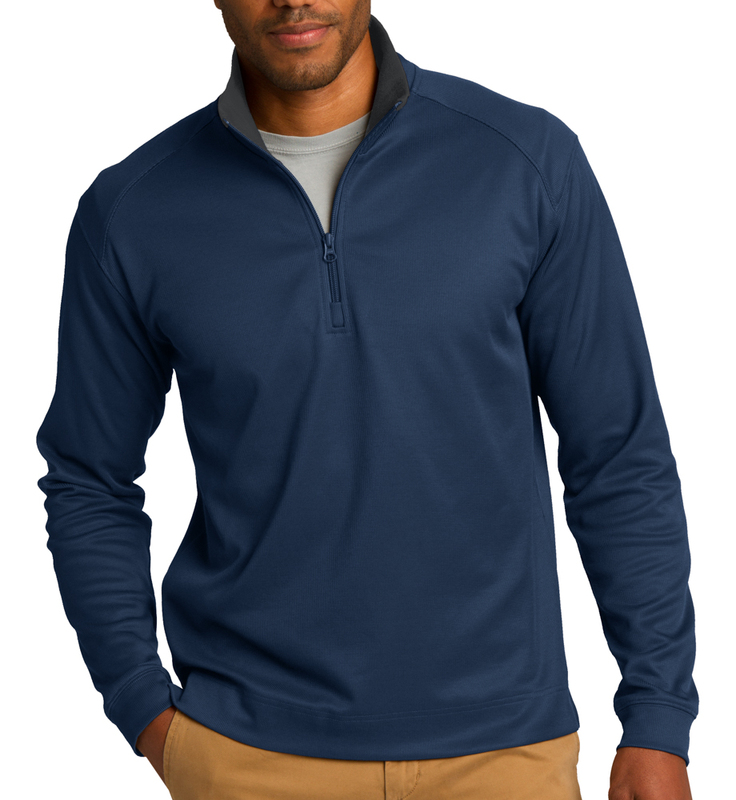 For even more visibility of your custom screen-printed design, add a print to the back and/or sleeves of your quarter-zip sweatshirt. 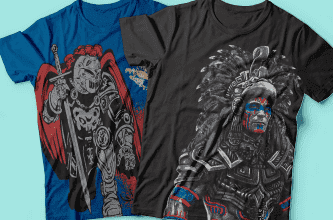 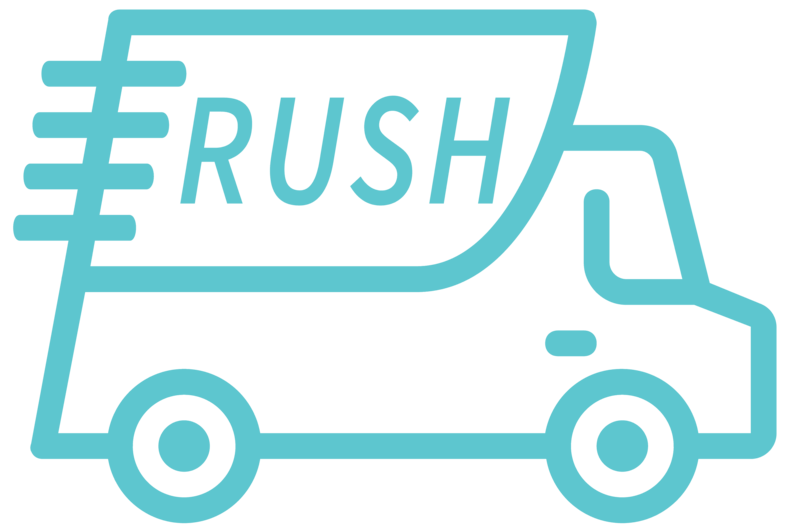 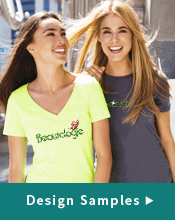 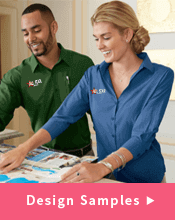 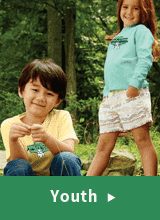 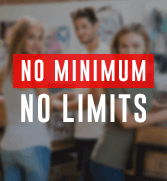 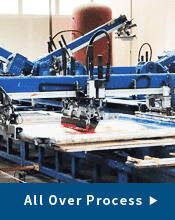 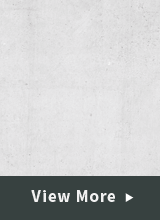 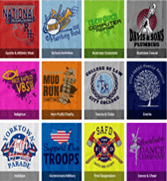 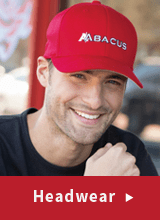 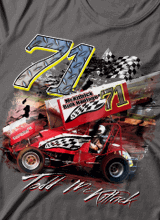 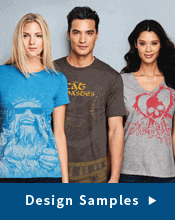 Choose from 100-percent cotton, cotton blends, or dry-fit options from a variety of top manufacturers.